This is it, after 5 years of living and working in Thailand we finally left yesterday. I apologize for not updating our website more often. I guess twitter and facebook mostly replaced it. And there are of course many other websites about Thailand, therefore there is less demand for our website. Tomorrow will be the start of Songkran. It's a Buddhist event celebrating a new year with originally symbolic cleaning of body and mind by poring some water over your head and shoulders. Also Buddha statues were cleaned during the celebration. Today it has changed radically in many places. Partly because of tourism, partly because things just change. We are back in the Netherlands for our summer Holiday. Follow zofona on twitter for updates. And again a posting after arriving in Krabi. Just to keep up the tradition. Tomorrow we will celebrate Songkran (Thai new year). Plenty of water will be thrown at everyone during this event. It starts at noon so we will be completely wet at 12.01 I guess. Happy (Thai) new year to all of you. This update was made only because I am sitting behind our laptop and can easily login on our website. Again not much to tell about the website, we are hardly updating it at the moment but this might chance in the future. 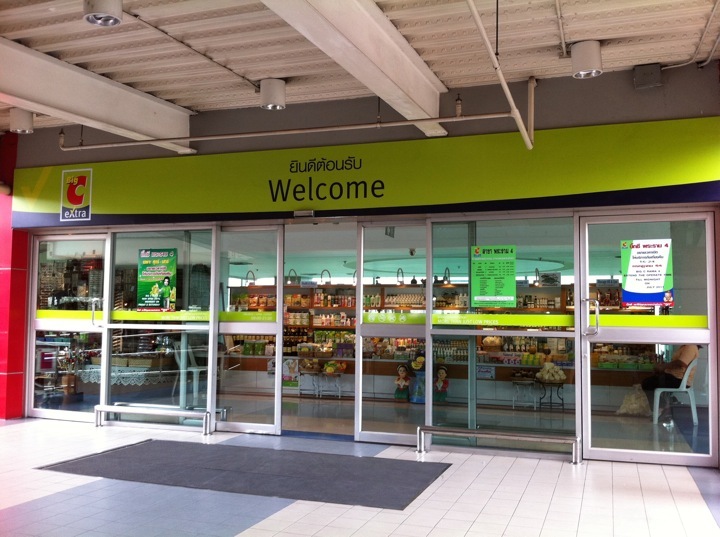 Check for zofona on twitter or facebook for more information about daily life in Thailand. A long weekend and we are at an island called Koh Chang (elephant Island). 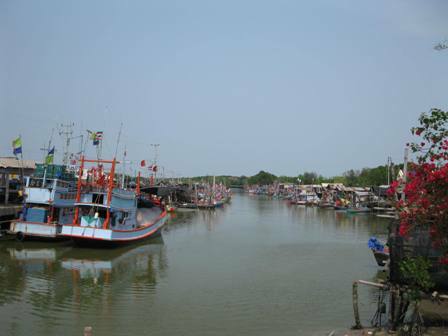 We have been here before and it is just a very nice destination if you want to get out of Bangkok but you don't want to drive all the way to Krabi or Phuket. It's only a little bit more than 4 hours driving towards the ferry. In 40 minutes this boat will bring you to this nice Island. 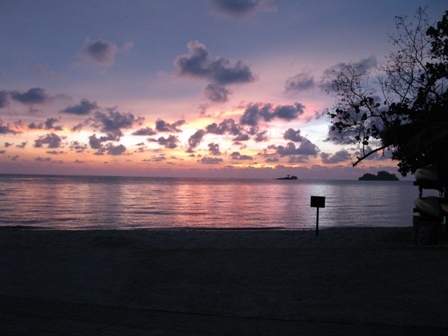 If you are visiting Koh Chang this time of year you will feel like you are almost alone. It's low tourist season and shops and hotels are almost empty. We like it this way but if you want to party you better wait for the tourist season (December/January). This is a new record, no weblog postings in half a year. I guess twitter replaces most of the small stories. We are in the Netherlands right now and it's great but not due to the weather. It's cold, windy and rainy the whole time. For next week the predictions are a little bit better but that will already be my last week. Christina and the children will stay one week longer. We visited Paris and for those of you who use facebook, search for me and look at the nice pictures (uploading of pictures on the weblog doesn't work at this moment). Furthermore we visited family and friends. We will also visit some Dutch musea but after the Louvre and Musee d'Orsay they will look a little bit small. Anyhow, if you want to see us just give us a call. I just added Dirk's travel story. It's in Dutch only, for the English reader an opportunity to test google translate. Recently someone posted a youtube clip on twitterfeed #thaifloodeng showing flooding. He added music from The Reverend Horton Heat to that clip, I really start to like this band. Funny lyrics and it has a catching sound. I guess they released a new album because I tumbled over this funny video clip. Sorry for not publishing Dirk's story. I just did not had time to do it yet. Two weeks ago I broke my tailbone and even now I can hardly sit or do much behind the computer. I cannot work at the office or drive the car properly. Although it slowly is improving it will take some time. In the meantime a short update on the flooding of Bangkok. Our house is still dry because we live in the center of Bangkok although it is not sure to stay that way. People are advised by the Governor of Bangkok to leave if they are not needed in Bangkok. The Government also decided to give extra holiday for this weekend which will be critical to Bangkok. If I have to believe twitter many people are leaving now for Hua Hin or Pattaya. We will stay for the time being. If there is any news I will twitter it for you to read on the homepage. As you can see we hardly post on our weblog. Twitter is easy for short messages and you can read them directly at the main page of zofona.com. Of course you can also follow zofona or ojajoh2 for updates. Especially at this moment because of the flooding in Thailand (and possible in Bangkok), news will be shared via twitter. We still have many new pictures but I did not manage to upload them because of some technical issues with the website. Our guest Dirk also visited us in September. He just send me a great travel story which will I will publish this evening. It's only in Dutch but for you Dutch readers enjoyable. For English readers, try google translate if you are curious. We also went to Cambodia and Singapore, these stories will be added as well but later when that picture uploading issue has been solved. Bye Carrefour, Hello Big C! We went to Koh Chang last weekend and stayed there until Tuesday. Just like the first time we were lucky with the weather. Our daily routine; every morning right after breakfast swimming or snorkeling, when it really got hot at the beach it would be timte to go out for lunch and we used the afternoon for other activities. Our days ended in the swimming pool to refresh again. Because Yde and Vibeke would definitely like it we decided to go for an elephant ride. Of course it's quite touristic and the 'jungle ride' isn't much more than walking up a forested hill deep down trails left behind from thousands of elephants dragging previous tourists along those hills. But to be honest, who cares. It's still fun to sit on top of one of these mighty animals and being able to touch tree leaves and listening to all the strange noises in the forest. Besides from the 'jungle trail' the elephants also went to a creek and walked through water around 4 feet deep. Certainly spectacular for the children and I have to admit that we also enjoyed it. Some of these tourist attractions are not that bad. And at the end of the day we went back to our hotel to enjoy a great sunset at the beach, the picture can't show you how beautiful it really is but at least you get an impression. 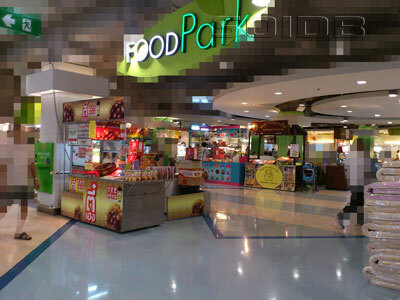 My office is located in the center of Bangkok but we do have quite a big lot surrounding our office. It even has a pond and small canals. 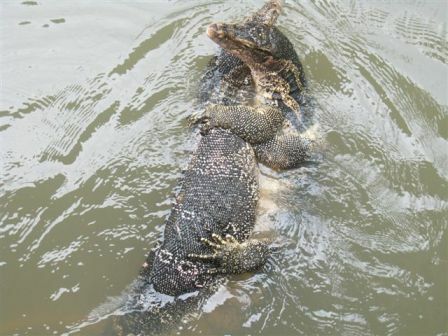 Besides from turtles, fish, snakes and other crawling or swimming tropical animals we almost daily see these giant water monitors. Yesterday one of my colleagues called me because something special was going on. Two of these giants hugging each other? Although it has only been a week ago we made another reservation at the Chill for next weekend because we liked it very much. It will be a long weekend. 17 May is a local Holiday, our children will just skip one day at school and that makes 4 days of snorkling, swimming and relaxing. On Friday Christina and I go out every now and then. Yesterday we went to a new movie called Thor. It's not bad if you like some fantasy in your movie but I would recommend to watch it in a theater instead of waiting for the DVD. The special effects are typically more enjoyable on a wide screen. Before we went to the movies I first went to B-Quick. The website is only Thai but you get an idea. It's one of those tires, suspension and battery service garage. The good thing about the one close to our house is that they beat the official Toyota garage when it comes to diagnostics and service. Some time ago I had a problem because the car would not drive straight. A thorough check at the Toyota garage did not solve anything. Two minutes at this B-Quick and they discovered the problem. One of the shock absorbers did not work good. Ridiculous that the Toyota garage could not find it. This time it was a strange squeeking noise in my car. Again the Toyota garage did not find it, the guys at B-Quick discovered that the bull-bar caused the noise. Some rubber and it was solved. And some more Songkran stuff. Today we took the car again and now we made some pictures and a short movie with our camera. 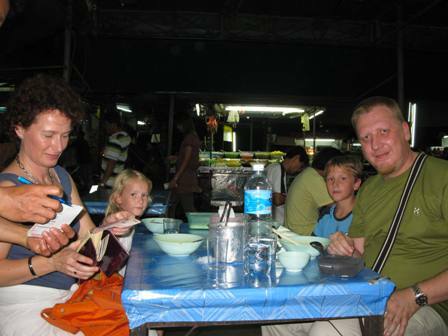 We drove through a small Soi to give you a better impression of all the fun. I briefly opened a window so you can hear the screaming and music. And this is a nice article from the Bangkok Post with some very nice pictures. This evening I think I will walk around a bit more because it's just fun to see all the adults behave like children. 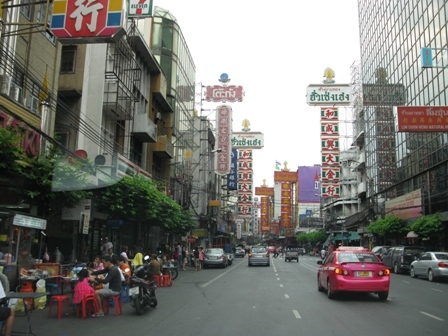 We also passed through Bangkok's Chinatown but the only picture we made was while driving in our car. The Chinese advertisement always look colorful, and even today some markets were open for business. No pictures so far because the camera we have would not survive it, only a waterproof camera would be good. Today we first drove around with our car for an impression of Songkran. Christina decided not to go for a walk because she didn't feel the urge to get soaking wet. Yde, Vibeke and I went for a walk, we quickly bumped into other Dutch people from our compound so our group of five children and two adults armed with water guns started the water battle. Within 100 meters we were already completely wet. Not only do people trow water with baskets, they use hoses to finish it of. Everyone is wishing each other happy new year and many Thai people did put chalk powder on our faces. For children it's great fun, and for adults it brings back the child in them. The only thing which isn't much fun, being on the receiving side of ice water. Many people have huge baskets full of water and ice. It's just awful cold compared to regular water. The next tree days are Thai Holidays. The famous Songkran festival will start tomorrow morning. We already bought some battery powered water guns but we don't know what to expect. I just looked at this youtube movie and now I know what to expect, ai ai ai. It's a market where Cambodians buy Thai stuff and Thai go to Cambodia for whatever is interesting on the other side. These are borders like we used to have them in Europe. Visible with a checkpoint and in this case a very clear difference between the two sides. At the Thai side tarmac and immediately at the other side a road without any tarmac at all. A small river divides the border and there were no tourists at all at this border. 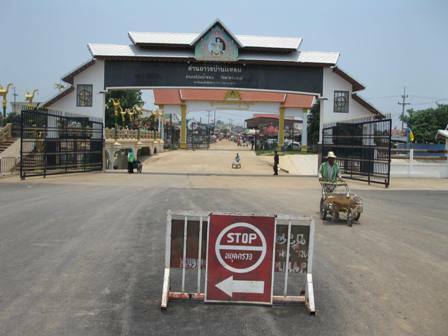 One of our future plans is to drive to Cambodia, we might take this border just because that crossing looks great. After walking around for a while we continued our trip through nice hills and cultivated fields. 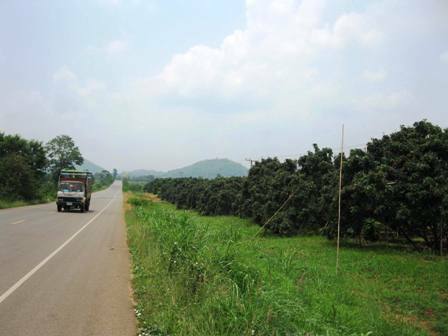 Not only crops but also many trees with fruit we don't recognize half of the time. Last Friday I drove home from work and the only appointment on my agenda for the weekend would be the trip to an exhaust pipe shop. A colleague discovered that they were the right guys to mount the bullbar on our toyota. Don't ask me what an exhaust pipe has to do with a bullbar but at least it would finally be done. But within 5 minutes of driving I discovered that I would need another appointment. The airco was only delivering hot air. At the beginning of the week I already thought once or twice that is was a little bit humid in the car but I didn't notice it very well because the week started with low temperatures as I mentioned before. However, on Friday it was 34 degrees outside and inside the car it was awful. Opening the windows was the only solution but all the exhaust fumes did not made me feel any better. On Saturday I first had to get that bullbar done because I made an appointment. I knew they had to make some changes and, although slowly, they did a great job. Within 2 hours the bullbar was installed. Afterwards I rushed to the Toyota garage. Good Thai tradition against Western impatience and intolerance towards a broken airco. These conversations go something like this (with very limited English and a lot of smiling). Me; 'Could you please try to fix it today, I need my car', Technician; 'of course Wednesday is possible', me; 'aarggh (smiling, trying to smile even more), please my friend, I am dying in my car', Technician; 'hmm, Tuesday is also nice but no prado spare parts', Me: 'I will just wait, ok' (smile now beyond what I thought would normally be possible), Technician; 'hahaha, let's take I look' (I got you scared, right!). Soon four technicians discovered a faulty rubber and started a discussion about missing spare parts. I nodded and smiled and signed some paperwork. And happily they promised to do their best but I should expect it to be finished maybe on Sunday afternoon. Two hours later I got a call, a happy and proud Thai technician who told me the job was done. It's just a matter of never losing your temper and being polite but determined to get something done. Of course don't forget to tip the guy before picking up your car. The next service will fully depend on how you handle the tipping this time. Anyhow, the airco probably didn't work too well for some time because I suddenly noticed renewed polar wind in my car in a way I couldn't remember. 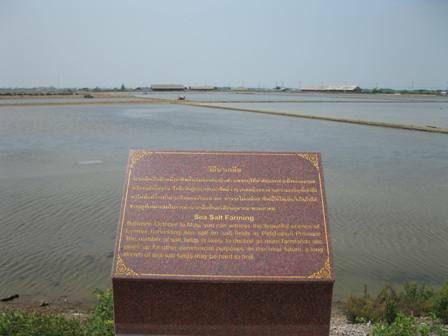 That's one of the reasons why today we went for a drive, pleasantly cool we discovered the famous sea salt fields close to Phetchaburi. After this we drove towards a nice beach were we had a good lunch with sea view. Two times sweet and sour pork with 2 steamed rice, fried rice with seafood, two sprite and a coke for 265 baht, what more do you need.